There’s “Something There,” all right. Disney’s 2017 live action Beauty and the Beast is an absolute delight. Maybe I just needed a movie like this right here, right now, but this update spoke to my heart and soul and had me staying through every last bit of the credits, with tears streaming down my cheeks and a big smile on my face. I’ve been agnostic about the artistic need (not the commercial one) for the unyielding march of Disney’s flesh-and-blood remakes/reinventions, since the runaway success of the garishly underwhelming Alice in Wonderland. True, each subsequent entry has improved upon the last, from the DOA Oz the Great and Powerful to the well-cast if underwritten feminism of Maleficent, from the poignant but ultimately forgettable Cinderella to the sparkling eco-parable The Jungle Book, culminating in last summer’s exemplary if underappreciated Pete’s Dragon. 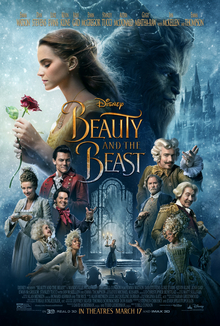 Beauty and the Beast (not unlike its animated forebear) takes the lessons from all that came before and synthesizes them into a crackerjack entertainment. Yes, there is the requisite if servile devotion to iconic imagery and character beats (the blue dress, the yellow dress, an elegant waltz in a cerulean-hued ball room, Gaston’s Freudianly overcompensating pompadour). Yes, the film suffers from a borderline overuse of CGI. For a “live action” remake, there is likely as much if not more animation in this version than the last, and poor Emma Watson (“Belle”) does her level best to act in awe of the green-screen universe surrounding her. I can imagine the direction: “Emma, a plate is flying at your head now. The forks are doing a can-can. A feather duster just sailed past your ears!” And, of course, there is a Disney Store stockroom’s worth of infinitely merchandisable new characters – dolls, Tsum Tsums, magnets, action figures, porcelain statues, and home goods … oh, the home goods. Kevin Kline plays Belle’s father Maurice, bringing some of the strongest character development to the piece, haunted by a desire to protect his only daughter from a world that claimed his beloved wife too soon. It seems to be a requirement that every Disney protagonist loses a parent (or two) as a spark for their hero’s quest, but Condon, alongside screenwriters Stephen Chbosky and Evan Spiliotopoulos, gives us a haunting and loving portrayal of a father-daughter united by tragedy but undeterred in intellectual curiosity. As before, Belle is an oddity in her “poor, provincial town” because, well, she likes to read … and to challenge the status quo and to question why anyone should simply accept with gratitude the lot in life they are handed. What once seemed like a quaint notion in a nearly 30-year-old cartoon, now seems frighteningly au courant in 2017 America. Early in the film, Maurice describes Belle’s mother to his child as a way of helping Belle cope with the small-minded community in which they are trapped, “People mocked her. Until the day they all started imitating her.” Preach. Through a series of minor calamities and overt misdirection, Belle finds herself at the castle of the Beast (Downton Abbey‘s Dan Stevens), a foppish prince who was transformed into a monster because of his unrepentant vanity and cruelty. 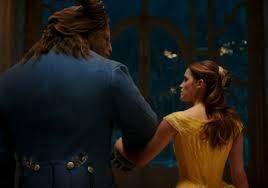 The Beast holds Belle hostage in exchange for her father’s life, after Maurice tries to steal a rose from his garden. Nice guy, eh? Bletchley Circle‘s Hattie Morahan does a fine job with her limited screen-time as the sorceress who curses the prince. In fact, the entire opening sequence, narrated by Morahan, is a surreal homage to Jean Cocteau’s 1946 take on the material; it is a rather un-Disney-like preamble, with l’enfant terrible (Stevens, again), prior to his transformation, contemptuously awash in a baroque swirl of powdered wigs, fright makeup, and gilded … everything. (In other words, a typical Saturday afternoon at Mar A Lago.) It’s so repulsively camp that we as an audience have zero sympathy for what befalls the prince and his wrong-place-at-the-wrong-time waitstaff. You do the crime, you do the time. As for Stevens’ work as the Beast, I don’t envy any actor whose performance is buried under a mountain of computer-generated pixels, but, like Robbie Benson before him, the trick to this character is in the voice work, and Stevens’ evolution from feral to forlorn to fetching is spot on. Regarding the enchanted crockery, cutlery, and assorted housewares who populate the Beast’s castle, Condon offers us an embarrassment of riches. Ewan McGregor, Stanley Tucci, Audra McDonald, Gugu Mbatha-Raw, Ian McKellen and Emma Thompson all have a ball with their respective roles, with McKellen, Thomspon, and McGregor as standouts. The original film was no slouch in that department either (Angela Lansbury, Jerry Orbach, David Ogden Stiers), and this next generation similarly provides comic relief and even greater melancholy as the Beast’s “family,” loyal to a fault and ever-hopeful that he will find himself and, in the process, discover true love and break the curse. Condon’s casting is flawless here. Rounding out the ensemble, Luke Evans (The Hobbit series) portrays a Gaston that is not “roughly the size of a barge” but whose smarmy ego, rampant insecurity, and loathing of women and animals are ginormous. Gaston has always been the true “beast” of the story, and this production doesn’t shy away from depicting him as the worst of all male impulses and an unfortunate corollary to the darker elements in present day society. 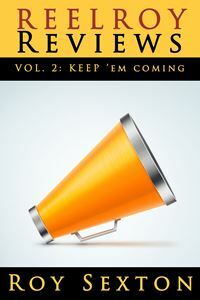 A little bit Robert Goulet and a little bit Errol Flynn and a whole lot of unbridled id, Evans is on fire throughout. Josh Gad (The Book of Mormon) as sidekick LeFou is more understated than the trailers (or the silly trumped-up controversy surrounding the flick) would have you believe. Gad’s sweaty, subservient fawning over Gaston is balanced with some lovely notes of self-doubt that provide a more thoughtful characterization than I was expecting. And, yes, the songs. All of the ones you know and love – and that will be keeping you awake in a continuous loop in your noggin at two in the morning – are all there. The song stylings of this cast won’t put any Broadway babies out of a job, but they all acquit themselves nicely, using the relative intimacy of film over stage to inject these anthemic numbers with a healthy dose of nuance. There are four new songs contributed by original composer Alan Menken with lyrics by Tim Rice (Howard Ashman wrote the lyrics for the original score). I, for one, thought the additional numbers blended seamlessly, with particular standouts being “Days in the Sun” (beautifully expressing the longing of the house staff to return to their human forms) and “Evermore” (the Beast’s big number wherein he finally knows what true love is only to see it walk out his castle door). These numbers sound like Sondheim cast-offs that just didn’t quite make the cut for Sweeney Todd. And that’s a compliment. This new model Beauty and the Beast may disappoint some for not reinventing enough, and it may trouble others for contemporizing too much. I, for one, thought it was just right. The 2017 version remains a tale as old as time, true as it can be, and speaks to the underdogs, the marginalized people, those who are bullied by the cool kids or punished for being too indulgent. Indeed, it is bittersweet and strange, finding you can change, learning you were wrong. Beauty and the Beast reminds us that life does get better. absolutely wondrous review! and let’s hear it for feminism rising once again! thanks, uncle walt!